"I won't not use no double negative"
"Hello Gutter, Hello Fadder" is the sixth episode of season 11. It originally aired on November 14, 1999. The episode was written by Al Jean and directed by Bob Anderson. Nancy O'Dell, Penn Jillette, Teller, Ron Howard and Pat O'Brien guest star as themselves. "Homer blows off work and goes bowling with Carl and Lenny. When he bowls a 300 game, he becomes a local celebrity. But when his fleeting fame begins to fade, he finds little comfort in anything. Suicidal thoughts and a brush with death lead him to spend more time with Maggie, who learns to bowl and nearly upstages him." On a normal day, Homer is 26 hours late for work. As punishment, Mr. Burns makes Homer eat toxic waste in a dark room. Lenny and Carl come in and invite Homer to go bowling. Homer lies to Marge on the phone, telling her that he was not able to attend a tea party date with Maggie because there was a breakdown at the plant and Lenny was hospitalized. Homer then goes bowling with Lenny and Carl. Homer bowls a 300 game, and makes the evening news, earning the attention of Springfield. 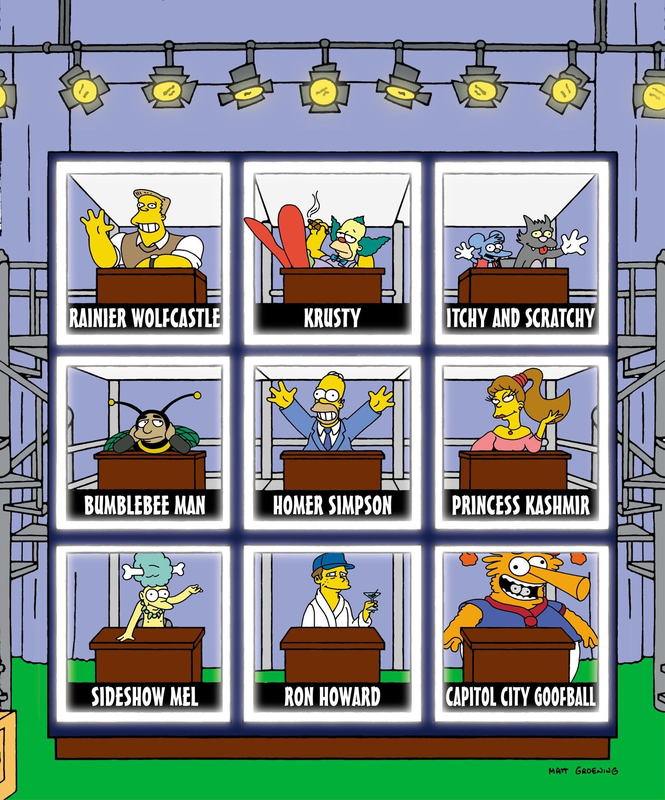 With this accomplishment, Homer becomes a celebrity, appearing on The Springfield Squares (which has Ron Howard as a guest). However, he attempts a walk-on during a Penn & Teller special, but that backfires on him as Penn chases him off the stage with a crossbow (and leaving Teller slowly descending into a tub of shark filled water). Homer's 15 minutes of fame wanes, and he becomes "yesterday's news". Worrying that his life has peaked, he attempts to commit suicide from a tall building, until Otto, who is bungee-jumping, saves him. Thankful for being alive, Homer searches for a more noble life, and dedicates his life to his children. He tries but fails to connect with Bart and Lisa so he decides to spend more time with Maggie. He tries to teach her how to swim, but she does not trust him and therefore, will not go in the water. When Homer takes Maggie to the beach, he nearly drowns, and has to have Maggie pull him to shore. For saving him, Homer treats Maggie to a game of bowling—and she bowls a perfect game, but Homer penalized her for going over the line (the "300 game" balloon, however, was still released, which Homer knocked out of the way). Modified on November 5, 2015, at 00:28.